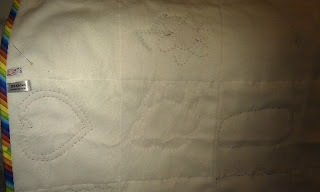 I hate 'washing angst' more than 'postal angst'!! Yay. It looks absolutely beautiful!!!!! So so so glad it washed ok!!!! I love it. It's so cute. I'm a bit worried that Ben is on the Pinot Grigio already! Hope that was just the toast then! Great job Benta - so clever! So cute! 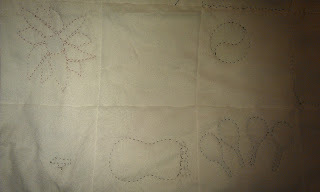 I love the fun quilting. My aussie bag arrived yesterday, it is so cute. Thank you! Have a great weekend. 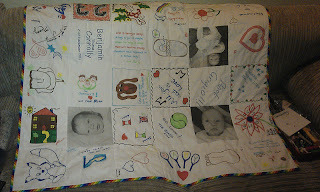 This is such a great quilt, you can't make it more personal and special. Well done Benta. Well done! It looks fab! Plum has just said it for me! Hi Benta! 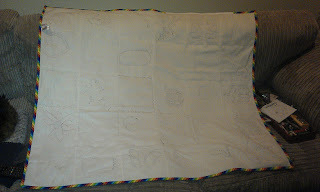 That quilt became really beautiful and unique! 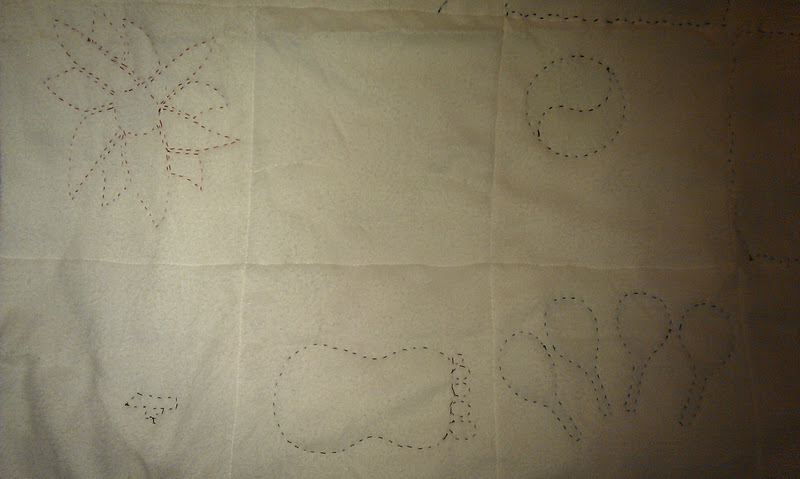 I love your idea for photos and writings! Also your quilting looks wonderful! Have a great weekend! 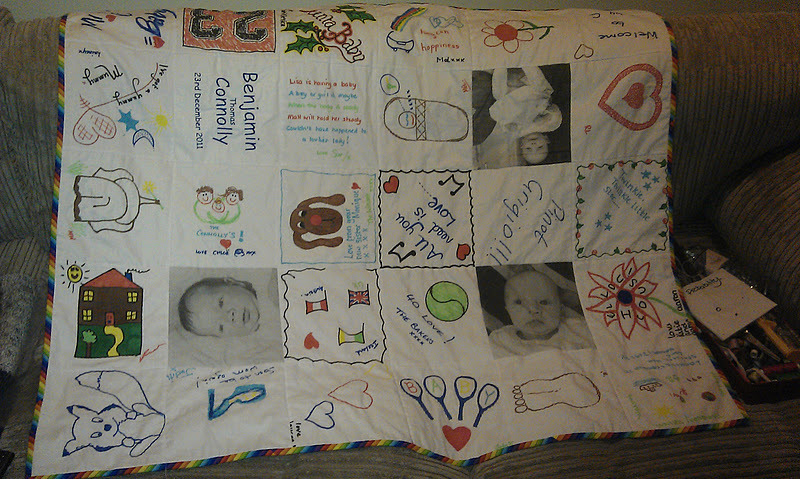 Thank you so much for the beautiful quilt you made for my darling little boy Ben. 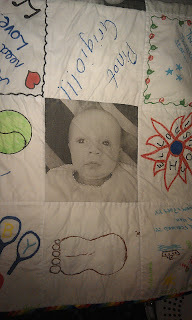 You are a wonderful friend and a talented quilter/creafter. I am in awe of your skills.